I received the letter below from Matt and Rose Colbern regarding the ANC Pilots for Kids events. I felt it was important to share it with each of you and thank you for your support during this event. The Anchorage Pilots for Kids event on December 18, 2018, was certainly one of the most wonderful times of the year. 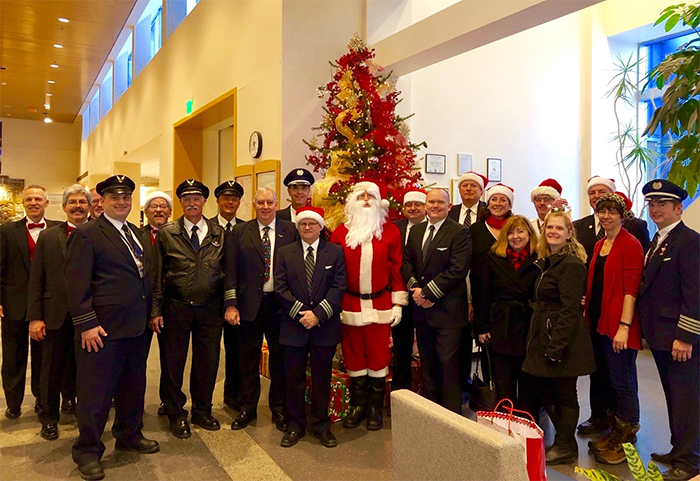 Though it was a brutally cold winter day, twenty two FedEx and Alaska Airline pilots, and a few organizers attended with open hearts and Christmas cheer. None of this would be possible without their time, commitment and heart that goes into making this event a wonderful one. Their presence at these hospital visits is one every child looks looks forward to. 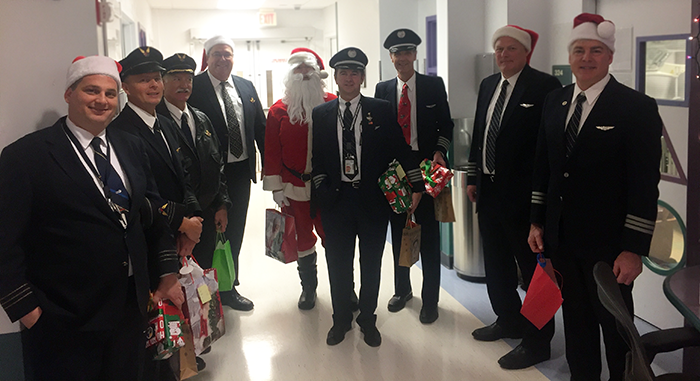 Santa and our pilots gave out over 150 gifts to those children admitted at Providence Alaska Medical Center and Alaska Native Medical Center. In addition to the children's gifts, parent bags, sibling gifts, candy canes & chocolates, and cookies for the nurses stations were also provided. All the children were welcomed by the amazing “Midnight Sons” Barber Shop Quartet, that so willing give their time and beautiful voices to be heard by all. Santa and his helpers also gave out teddy bears to all the children so patiently waiting in the hospital reception areas, putting smiles on so many faces. Furthermore, Anchorage Pilots for Kids, also helped make Christmas a little brighter for five young boys living in the Charlie Elder House. Charlie Elder House is voluntary, long-term residence for homeless teenage boys ages twelve through nineteen. Boys learn to live independently, achieve academic success, maintain positive relationships, and contribute to the community. The house provides a therapeutic environment, case management services and counseling services in cooperation with Denali Family Services. It was an honor to be a part of these young boys lives again this year. Thank you also to the incredibly loyal elves, that helped make this event possible. Thank you Amy Carman, Martha Carver, Kim Meeds and Martha Service, for everything. And thank you again Bob, for your time and support. Your constant email reminders for donations and information were so helpful. Without the generosity of our pilots, none of this would be possible.